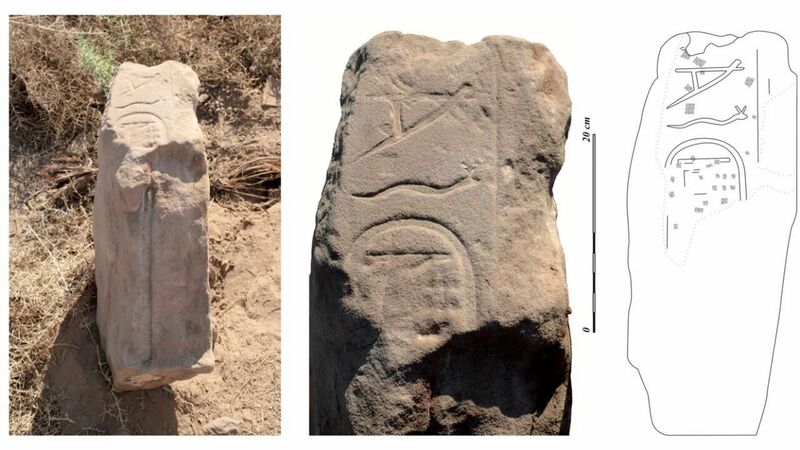 A Spanish team of the University of La Laguna, Tenerife is currently recording and studying the scenes and inscriptions of the Meroitic temple from Debod, Nubia, now in Madrid, under the project title “tA-Hwt, Digital Techniques applied to the Inscriptions and Reliefs of the Temple of Debod’. Augustus presents three bound animals as offerings to Isis. Drawing by Daniel M Méndez Rodríguez. 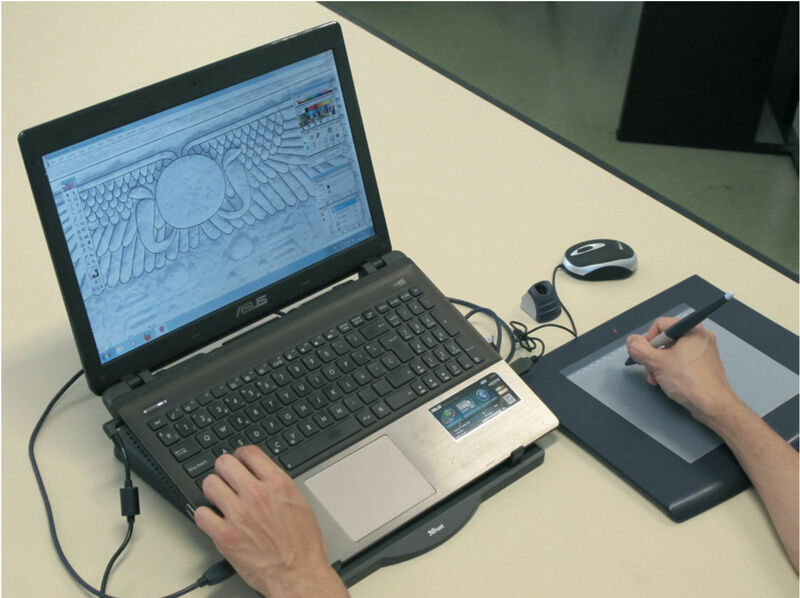 Comparative views of part of a scene as shown by Roeder (left), in a recent photograph by José Latova (centre) and in the digital drawing by Lucía E Díaz-Iglesias Llanos (right). Clean, single-weight lines representing the carved decorative surface. Larger damaged areas are represented by a complex system of homogeneous grayscale patches. Darker color indicates damages and eroded surfaces at the edges of blocks, while lighter color is used to show surface damages caused by various weather conditions and human impacts. Decorative surface areas that were in a deteriorated state at the time of documentation, but were clearly visible on old archival photographs are shown by basic dotted outlines. Blocks that are heavily damaged and could be reconstructed only from archival photographs are indicated by a veil of light gray dotted texture applied over the decorative surface. 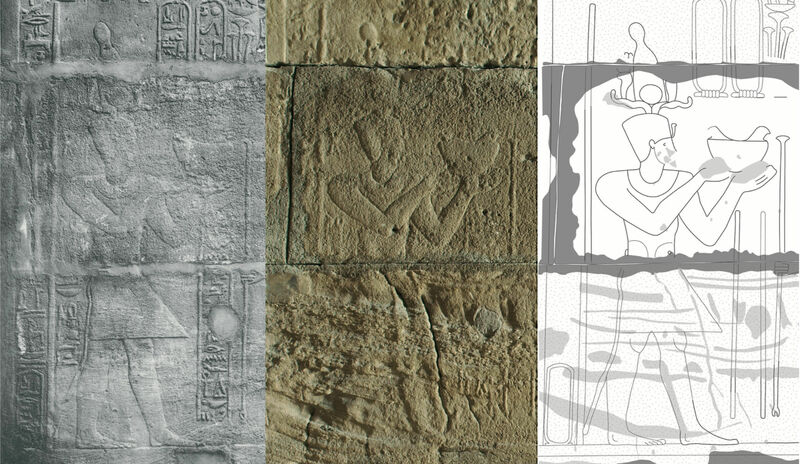 Lucía E Díaz-Iglesias Llanos, Daniel M Méndez Rodríguez – Digital epigraphy of the temple of Debod in: Egyptian Archaeology (EA) 45 (2014): 39-41. To read more about the epigraphical project of recording the graffiti in the temple of Debod go to Academia.edu. The vast program of excavation, documentation and epigraphic study of the Osirian chapels and necropolis of Karnak was initiated in 1993 by the Centre Franco-Égyptien d’Étude des Temples de Karnak (CFEETK) and then extended by a collaboration with the Institute Français d’Archéologie Orientale (IFAO). 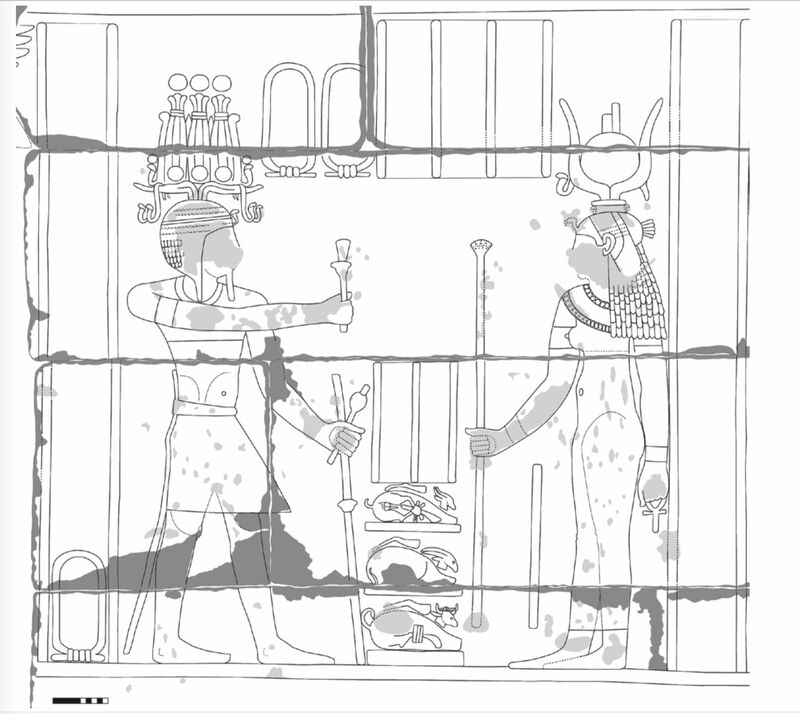 The Czech Institute of Egyptology’s excavations at Abusir South in 2014 have led to the discovery of the tomb of Kaisebi (AS76) and the adjoining structure of Ptahwer (AS 76b). 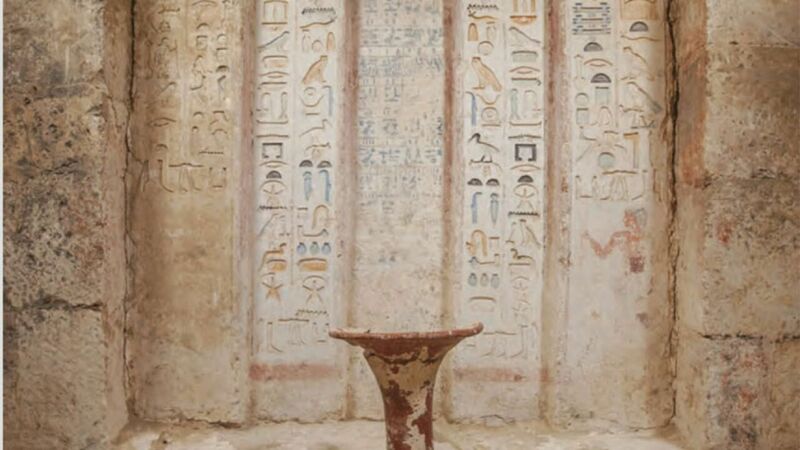 Both tombs are dated to the end of the Third Dynasty.